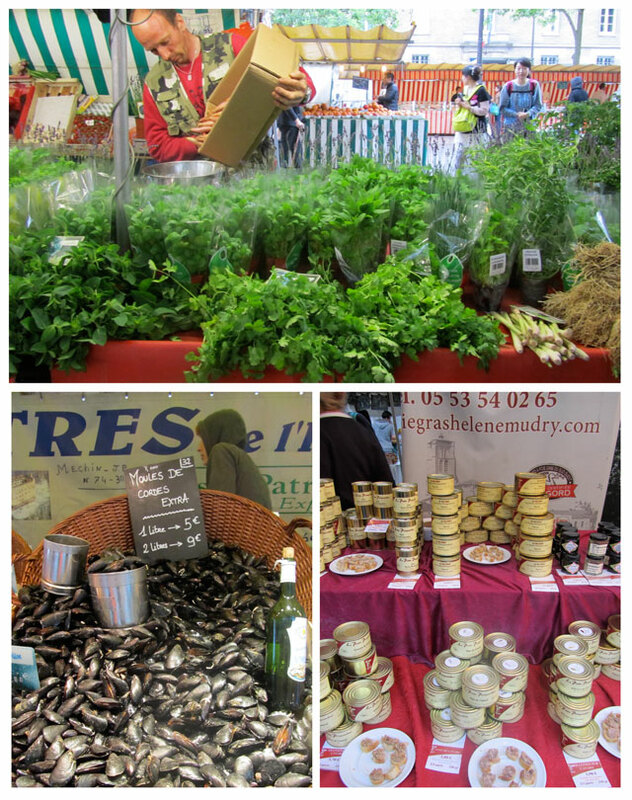 My favourite market in Paris is Marché Bastille in Paris. 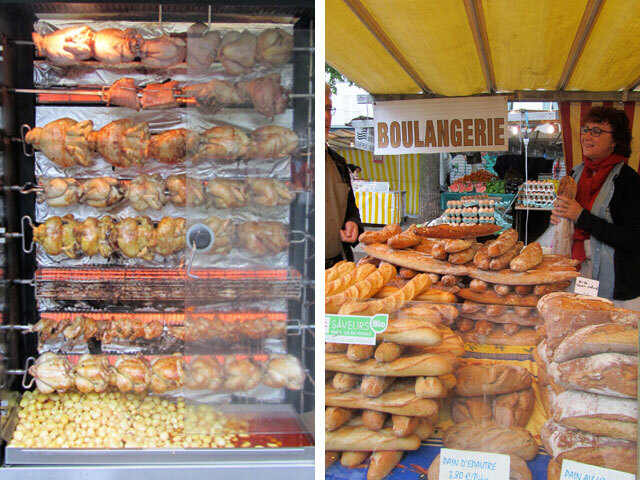 What better way to spend a rainy Sunday in Paris than to head to Marché Bastille on the Boulevard Richard Lenoir. It stretches out under the shadow of the Bastille column in the 11th arrondissement. 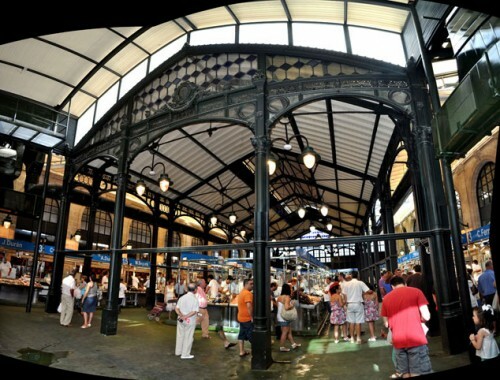 If you want to feel the pulse of the city, this market is bustling with activity. 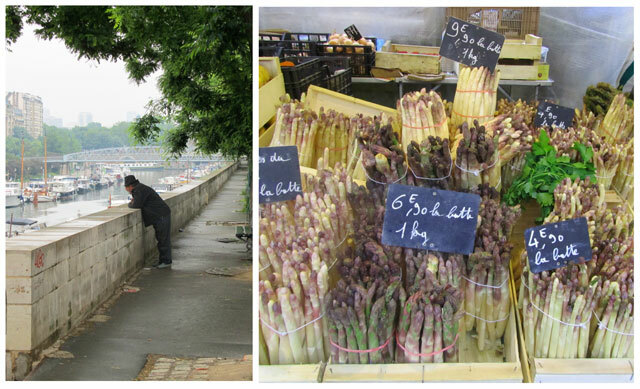 Its here that you will see Parisians going about their very important business of selecting the perfect ingredients for their daily meal. 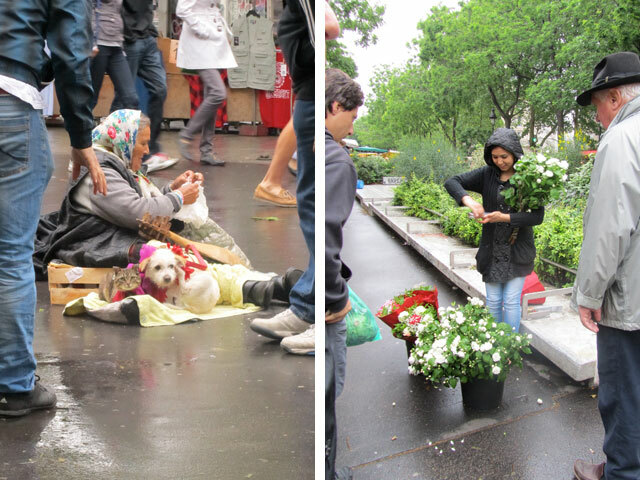 The streets of Paris are flooded with markets of all kinds. 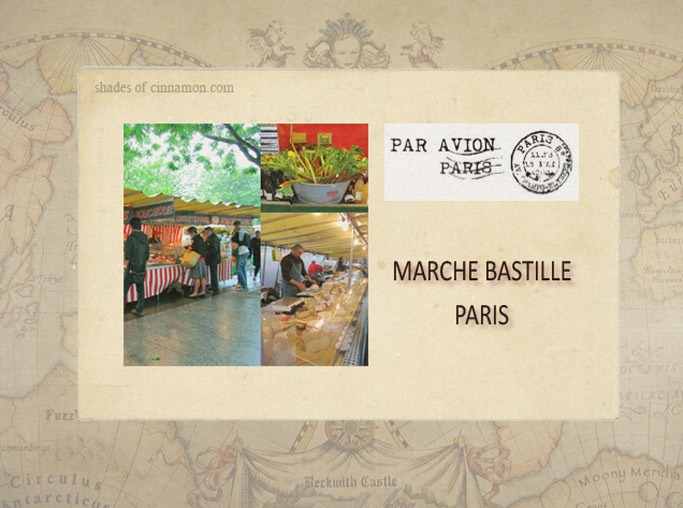 Some are permanent “rues commercantes”, commercial streets, with stalls, cafes, and shops, but the Marché Bastille , one of Paris’ largest, is a “marché volantes”, a roving market, set up on particular days for a few hours. It is open Thursdays and Sundays from 7am to 2.30pm. 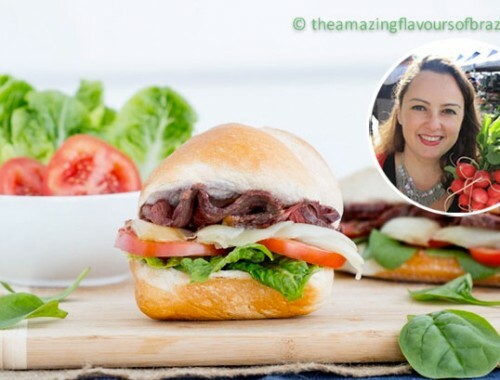 Delicious hot foods include Lebanese, Indian, French and Italian. Oysters, seafood of every description, bread, flowers, cheese – everything you could wish for , is available at reasonable prices. 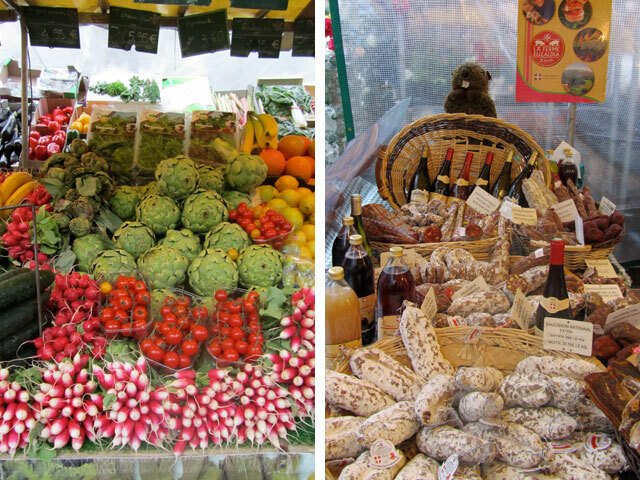 Beautiful piles of fruit and vegetables are interspersed with stalls of olives, free range chickens and patés. There are also the stalls offering cheap jewelery and bags, African batiks, and the typical blue and white striped French jumpers, but this does not detract from the beautiful smells, and sights of the marketplace. 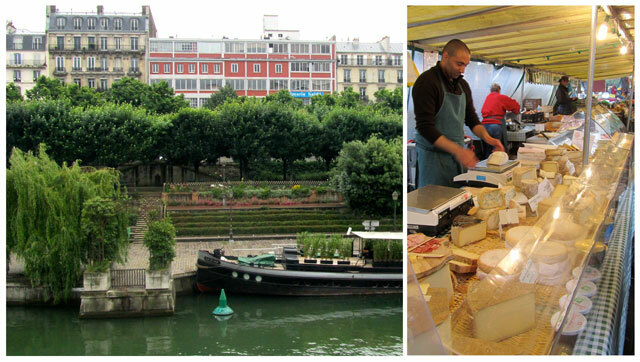 And if the weather is good, you have your choice of the best picnic food available in Paris. Head for the nearest park or sit by the river enjoying the sights of the riverboats. 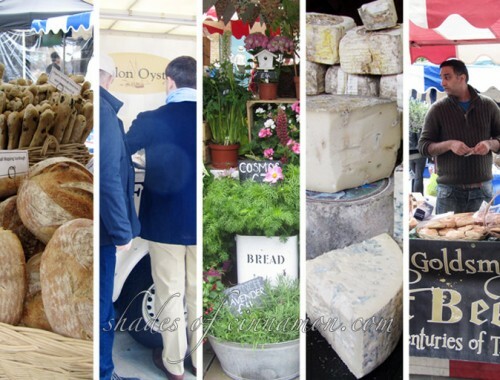 On Saturdays the market makes way for a completely difference set of vendors, Le Marché de la Creation Bastille, which is an art market with a difference. Modern art, photography, ceramics, jewellery and prints are all available, and you will get the chance to meet the artists and pick up art at a much cheaper rate than from the galleries. Nearest Metro : Bastille and Oberkampf.